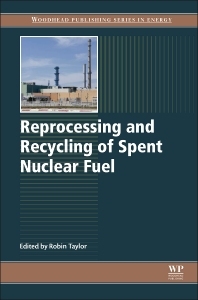 Reprocessing and Recycling of Spent Nuclear Fuel presents an authoritative overview of spent fuel reprocessing, considering future prospects for advanced closed fuel cycles. Part One introduces the recycling and reprocessing of spent nuclear fuel, reviewing past and current technologies, the possible implications of Generation IV nuclear reactors, and associated safely and security issues. Parts Two and Three focus on aqueous-based reprocessing methods and pyrochemical methods, while final chapters consider the cross-cutting aspects of engineering and process chemistry and the potential for implementation of advanced closed fuel cycles in different parts of the world. Robin J. Taylor, National Nuclear Laboratory, UK.